This month's theme is Generosity... The quality of being kind and generous. You can be generous of your time by volunteering. 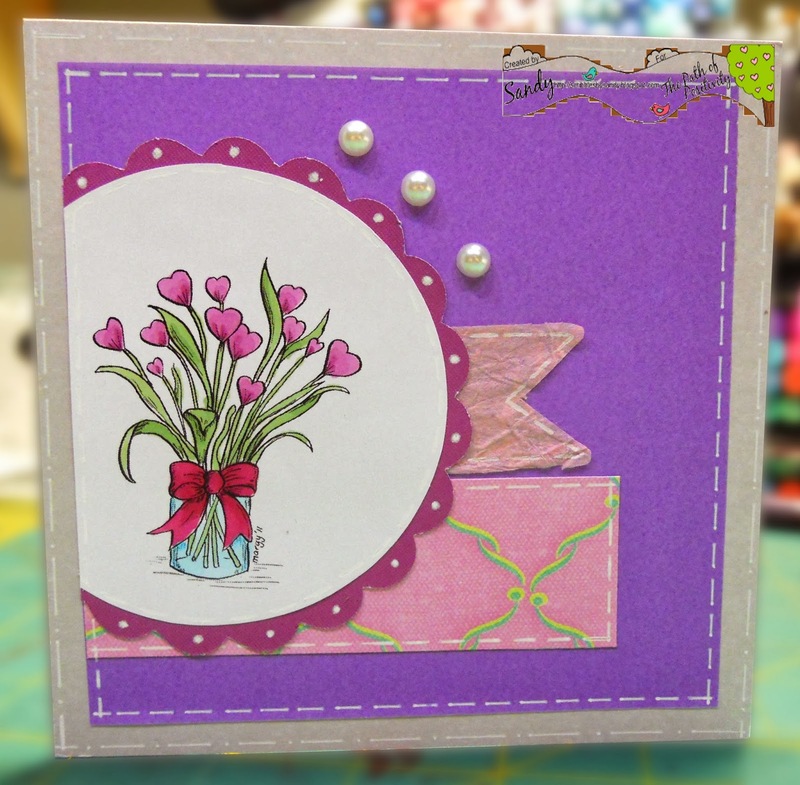 This Vase of Hearts from Digi Stamps 4 Joy colored with copics onto a layered card of pink mulberry, DP & purple cardstock. There is white faux stitching all around each piece. All on a 5 1/2" square card. A sweeeeeeeet card! Your midway card is simply lovely and I can truly attest to that fact seeing as it is currently within hand's reach in my office. Thank you also, for the incredible generosity that accompanied this card. Rather serendipitous timing, considering the theme this month!